Here it goes, Lights, Camera and Action! Livelove’s YouTube channel is about to go Crazy! I get so excited every time I think about it. However, I have a few issues, that I could honestly, use your help with. As a new on-line business, with a mission, that contains a great deal of LOVE, for YOU…I am struggling with a few decisions. Therefore, I wondered if you would like to be a part of the ‘decision’ making process. If so, continue to read and participate, if not we will catch you later (you might want to skip over reading the rest of this one). If you already know about Livelove and are interested in having an input, as our family (business) grows and brands themselves, then skip down to number five. We have the business registered and services in place. Trademark for Freddy the Pink Flamingo, is all completed (those of you who helped choose him, Thank you). Slogan is being registered as we speak. Services: One on one coaching, professional motivational workshops, for those companies who need extra help with company moral and team work. A new e-book and audible book with the Happy Curriculum embedded into the series, to allow you to learn and enjoy, at your own pace, is almost completed. Educational Seminar for school districts to educate the children, on choosing life/living, rather than suicide. Some exciting new items will be available shortly :). Where would you like to attend a ‘How to’ ‘Be Happy’ seminar/workshop? Is there a preferable location for example? Would you sign up to attend a Livelove seminar in Kauai, Outer Banks North Carolina, Los Angeles? Texas? Or Kansas City? Or in another country? Maybe Italy? or Mexico? You tell me, list it in the comments on Facebook, WordPress, messenger or email us… Livelove.teena@gmail.com I want to know where you would like for our event planning specialist to begin focusing? 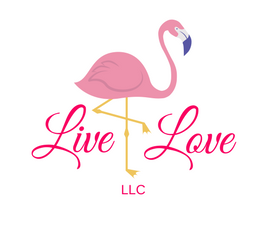 Last but not least…Do you like our newest member to Livelove LLC? The only problem is she is nameless, for now. Therefore, I did a mini photo shoot for you! She will be creating educational videos for our ‘kiddos’ who are watching Livelove! This is your chance to give a thumbs up or down to _______________, our newest member. Again you can comment on WordPress, Facebook, Twitter, LinkedIn, messenger, email us at http://www.Livelove.teena@gmail.com, or check into our website http://Www.Livelovellc.org/home and leave us a message. What should her name be? I have Momma Teena, Pinky, Pinkalicious (this one scares me a bit, sounds a little umm, IDK), or my middle name is Gay after my aunt, I could use her name which means ‘happy’. Or, you provide suggestions. Do you like the pink hair? For educational videos? Type of outfit she should have made? (If you didn’t know Physical Fit Flower the Clown was me, but I had to move away from being a white face clown, too many horror films 😦 . Do you think we should post once a day, week bi-weekly or monthly? Anything else you can think of or suggest for us to help you, let us know! Livelove is super excited to share with you in 2018! Looking forward to meeting you in person! I will announce her name as soon as we know the final decision. This entry was posted in Business, communication, depression, Education, Energy, entertainment, Happiness, Love, marketing, Suicide, teachers, Thank you and tagged behappy, believe, comment, educate, enjoy, feedback, help, livelove, Thank you, thumbsdown, thumbsup, videos, youchoose, YouTube on January 23, 2018 by teenadrake.